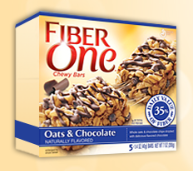 FREE Fiber One Chewy Bar – FIRST 10,000! Calling all Pillsbury members! Hurry over to score a FREE Fiber One Chewy Bar when you login for the first 10k. If you join today, you WILL NOT receive this freebie but hurry and sign up here so you’ll be able to participate in future giveaways. Try a different browser. That should fix this issue! Thanks for your interest, but the entry period for this promotion has ended. Please come back soon! Previous post: $.50 off Clorox Coupon – FIRST 98,000!